Global Gratitude Alliance hasn't added a story. We hope you’ll join us in celebrating our 42nd birthdays by helping to build a movement. With everything going on in the world, it is so painfully clear: when ignored, cycles of trauma fuel fear, hate, injustice, and violence. The antidote to harm is healing. Let’s create a ripple of empathy … compassion… connection… and love — one the spreads across the interweb and into the hearts of courageous survivors around the world. All donations will support healing circles for survivors of abuse, hate, violence, and oppression. Global Gratitude Alliance hasn't posted any updates yet. The ECOBAGS Canvas Tote is the perfect companion for grocery shopping, daily errands, craft projects, travel, and more. 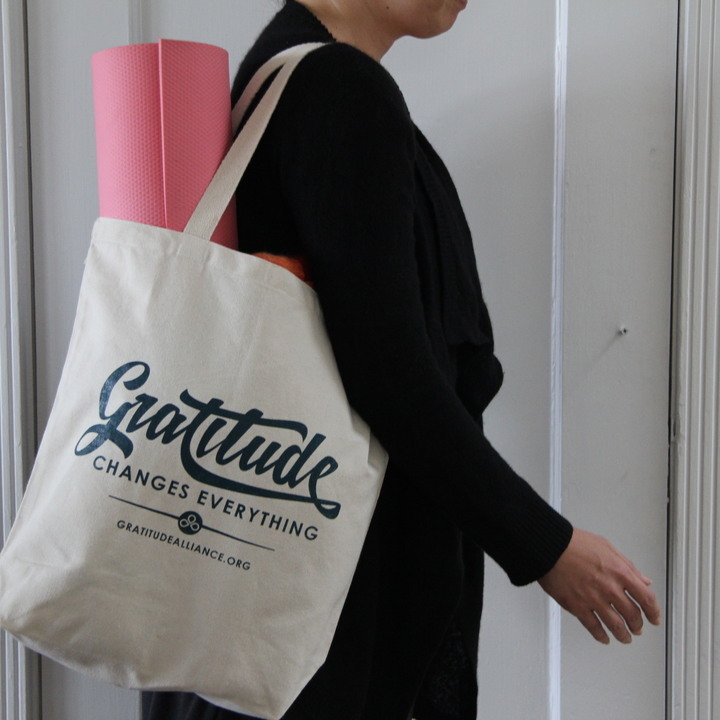 "Gratitude Changes Everything" logo design on both side. Unlike bulkier totes, this bag folds easily to neatly fit in smaller spaces. The cotton web handles allow you to comfortably carry the bag over the shoulder or as a tote. 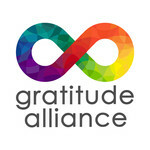 Global Gratitude Alliance is managing the funds for this campaign.